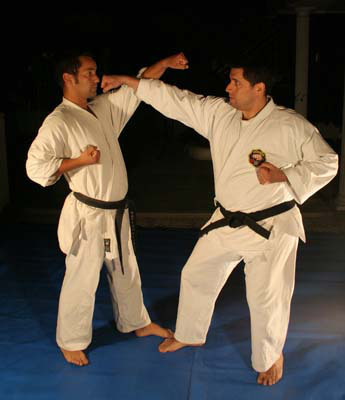 Kumite means the training of “kihon” but with an opponent. It is important to point out that the practice is performed with an opponent and NOT against an opponent. 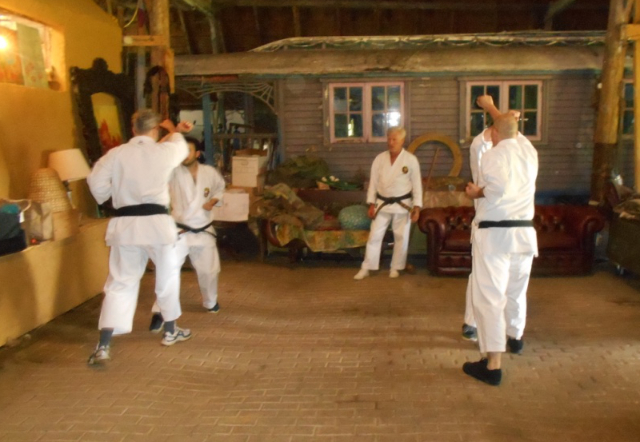 Without kumite, the practice of karate-do would not be complete, inasmuch as it enhances the development of potentialities which would be very difficult to attain with the sole practice of kata. In kumite, as in kata, absolute commitment is required. When we practice kumite, both karatekas should share the practice, demanding the most from each other. To this end and to avoid self destruction, it is very important that the students do away with any sense of animosity and competitiveness.